A plastic-free, plant-based Konjac sponge. Vegan, water-neutral and fair! This Konjac sponge is perfectly suitable for gentle care, peeling and massage of your skin. 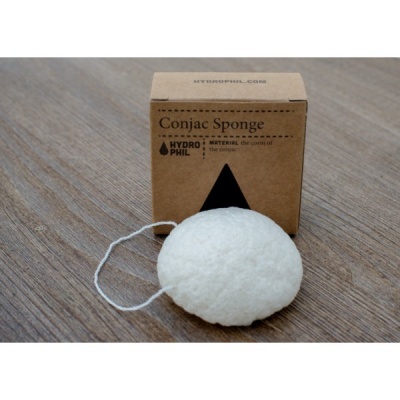 A great sponge for a plastic-free shower or bath, also helps you use less soap. It moisturises and through its alkaline property can help to fight acne. Additionally, this sponge is suitable for washing infants and small children due to its naturalness and its soft and gentle surface. It can be used for removing make up and preparing the skin beforehand. For usage, wet the sponge and move it in circles over face and body. 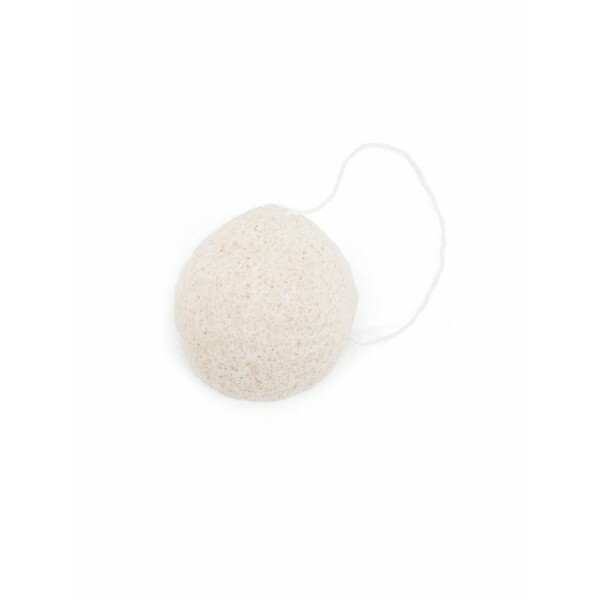 This Konjac sponge is 100% plant-based and made from the Konjac plant, a natural root (a kind of Japanese Turnip). When you have finished with the sponge (approx 3 months or so depending on use) you can pop it in your home compost, they will rot down to nothing. Of course, all Hydro Phil products are water-neutral, vegan and fair!